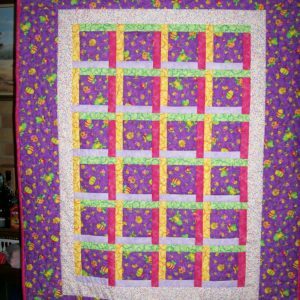 This quilt creates the illusion that strips weave behind each other like a lattice weave, separated by a solid background square. 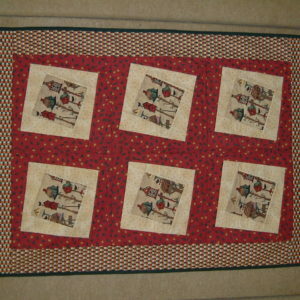 (This background fabric is best when using a strong contrast to the weaving fabrics). 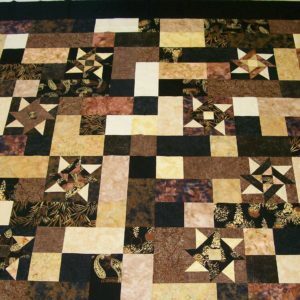 This Pattern has many options to choose from. 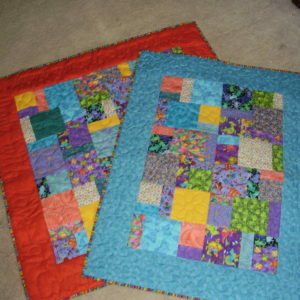 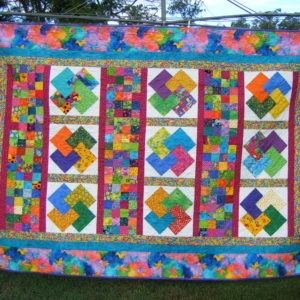 There are three different scales of the units and several quilt sizes for each of the small, medium and large sizes. 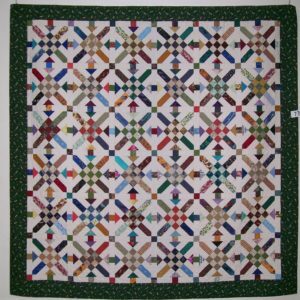 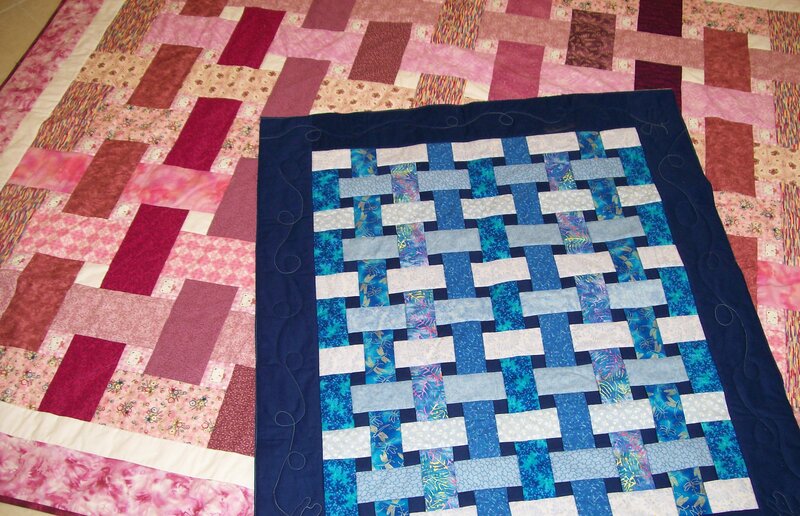 The construction of this quilt is a little different working on the whole centre as one section rather than in blocks.